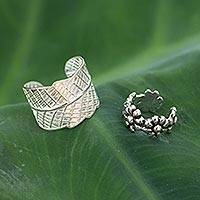 Presented by Thailand's Wadarat Supasirisuk, these ear cuffs bring the beauty of nature's garden to your wardrobe. 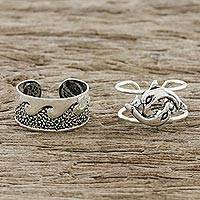 Crafted of sterling silver, the ear cuffs feature wave motifs on one and a crown depicting a dolphin couple on the other, accentuated by a combination of finishes. 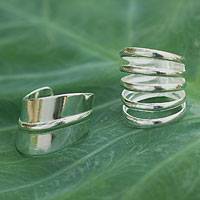 Presented by Thailand's Wadarat Supasirisuk, these ear cuffs bring the cool luxury of the wind to your wardrobe. 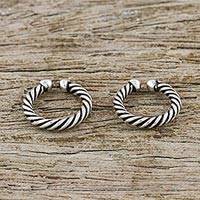 Crafted of sterling silver, the ear cuffs feature intricate patterns on one and a spiral motif crown on the other, accentuated by a combination of finishes. 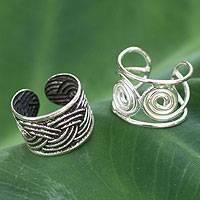 Thailand's Wadarat Supasirisuk presents two attractive ear cuffs featuring a classic Thai braided motif. 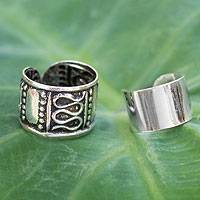 The oxidization creates an eye-catching contrast that accentuates the contemporary appeal of the cuffs. 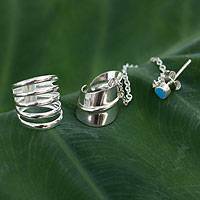 Crafted from sterling silver, they can be worn around the top or side of the ear either together or separately. 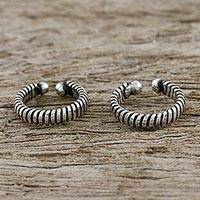 Wadarat Supasirisuk presents two trendy ear cuffs featuring a creative, spiral design. The combination finish creates an eye-catching contrast that accentuates the contemporary appeal of the cuffs. 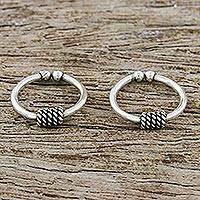 Crafted in Thailand from sterling silver, they can be worn around the top of the ear either together or separately. 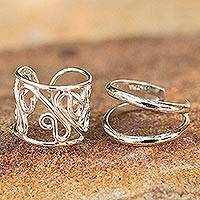 Thailand's Wadarat Supasirisuk presents these attractive ear cuffs featuring a modern twist design. The oxidization creates an eye-catching contrast that accentuates the contemporary appeal of the cuffs. 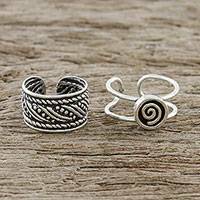 Crafted from sterling silver, they can be worn around the top or side of the ear either together or separately.